Discovering Buddhism is a thirteen part teaching series which touches on all the vital points of Tibetan Buddhism as presented in the Gelug lineage of the Dalai Lama's traditions. Hosted by Richard Gere and Keanu Reeves, the series includes teachings with some of the great Tibetan lamas of our time as well as experienced Western teachers. Each video also contains personal interviews with student practitioners. A clear and accessible presentation of the Mahayana path for both beginners and experiences students, the series is an excellent resource whether it is used on its own, in conjunction with the Discovering Buddhism courses taught at FPMT centers, or with Discovering Buddhism at Home : An FPMT Correspondence Program. 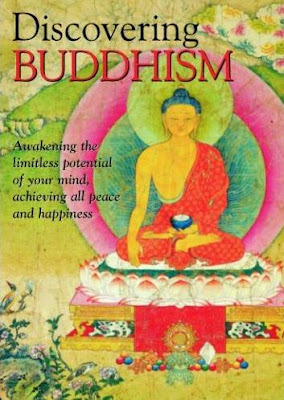 It is also a perfect gift for friends and family who may want to learn more about Buddhism. We were fortunate to see this excellent thirteen-part series over several nights in a small theatre in our hometown and even more fortune to be able to revisit it on video in our own home. Discovering Buddhism is a unique production, beautifully conceived, designed and photographed to give a brief, yet profound, introduction to the vast subject of Buddhism. The thirteen topics range from Mind and Its Potential, How to Meditate, Wisdom of Emptiness to Introduction to Tantra. 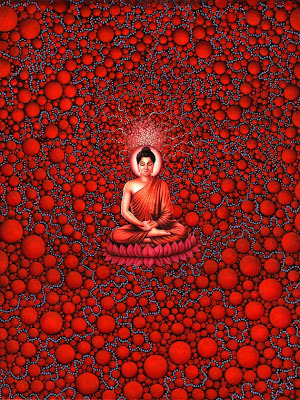 These topics include segments on Bodhichitta, Refuge, The Path, and Daily Practice. Each 30-minute video is presented in the form of a complete practice: Introduction, Motivation, Teachers, Students, and Dedication. Opening each video, and between each segment, there are a series of visual montages in which we experience stunning images of His Holiness the Dalai Lama, Lama Yeshe, Lama Zopa Rinpoche, processions of monks, and many other precious vignettes accompanied by Tibetan music and chanting. There is wisdom, blessing and devotion in each heart and mind- opening experience. From introductions by either Richard Gere or Keanu Reeves, we move to Ven. Connie Miller who leads us in a thoughtful motivation specific to each topic. Then at the heart of the series are teachings by some of the most revered teachers of our time: His Holiness the Dalai Lama, Ribur Rinpoche, Lama Zopa Rinpoche, Lama Thubten Yeshe, Ven. Robina Courtin, Ven. Sangye Khandro, Ven. Sarah Thresher, Ven. Thubten Chodron, Jan Willis and many others. Each subject is taught by both a Tibetan and a Western teacher, giving us a range of perspectives. The teachings are clear, specific, and inspiring, with the key points (for example, the Ten Qualities of a Teacher by His Holiness the Dalai Lama) displayed for emphasis at the end. Several Western students discuss the teaching and its application to daily life.